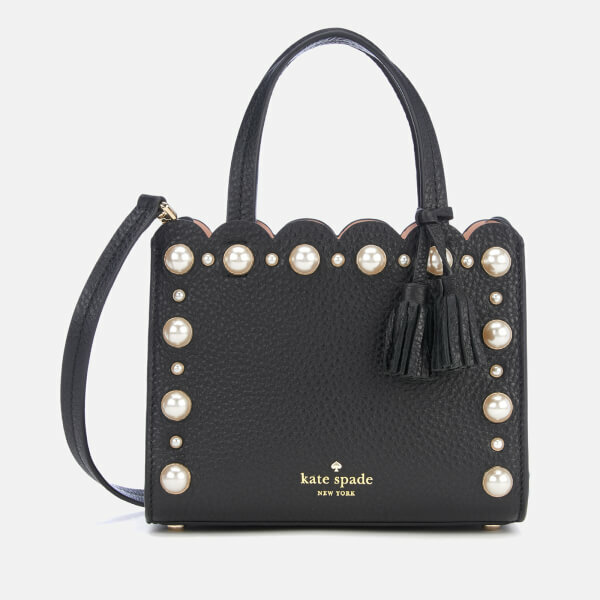 Black mini handbag in textured leather from Kate Spade New York. Inside the compact interior, two open compartments are bisected by a central zipped pocket and card slot. A pair of fixed top handles ensure easy carrying, and an adjustable, detachable shoulder strap converts the bag into a cross body style. 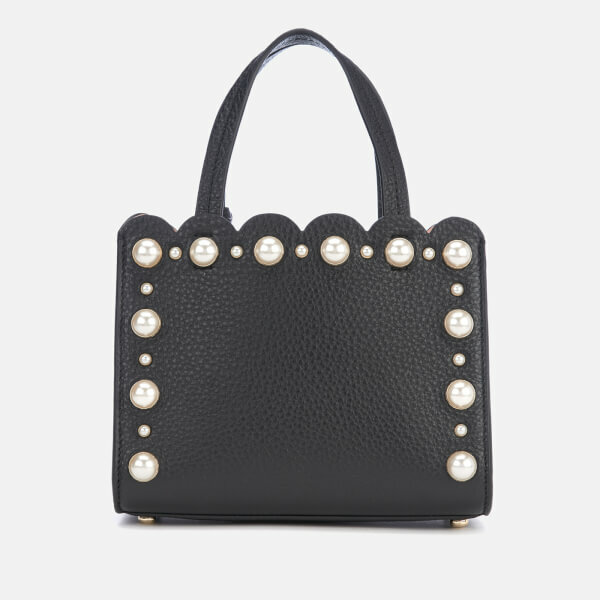 Oversized faux pearls, a tassel charm and scalloped edges add detail, while metal feet protect the base. Gold foil branding completes the design. Dust bag included. Dimensions: H: 15.5cm x W: 19.5cm x D: 10cm. Handle Drop: 10cm. Strap Drop: 52cm.